On the 21st October, our work with the Science Museum on the ‘Visit us’ section was highly commended at the Digital Impact Awards. 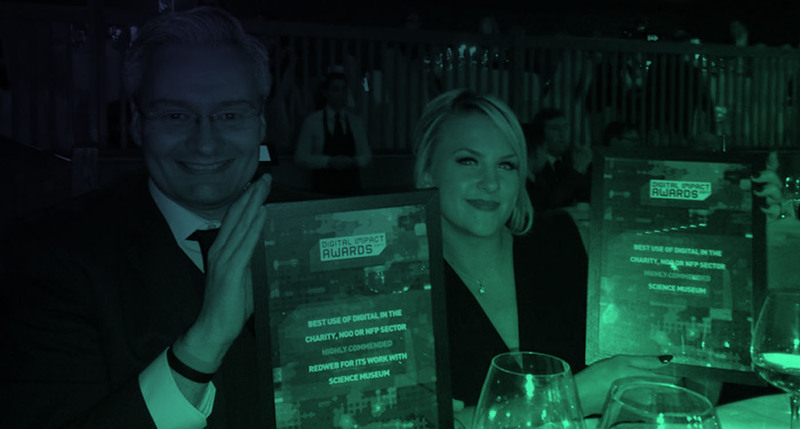 Our achievement at the awards recognises excellence in digital stakeholder communications. Entries were judged by a panel of industry experts, who determined the most outstanding projects in each category. The process explored the most effective and creative campaigns among the 121 shortlisted projects. The Digital Impact Awards, launched by Communicate magazine in 2010, sets the benchmark in digital stakeholder relations across Europe. The awards, held at the Brewery in London were hosted by Dominic Holland comedian and author, who honoured the best work this year.